Hi, I’m Munendra Kumar from Bangalore, India and publish “infynet.wordpress.com” to share my words and knowledge with you what I have learned and what i known in .NET and other programming languages. Started “infynet.wordpress.com” in 2010 to help those who want to learn .NET and other languages. I like to handle complexity in project during development process. Likes others bloggers, I would like to receive your ideal comments. To contact me, Please email “kumarmunendra@hotmail.com”. do you have any experience with directshow/codecs? if yes i will be needing help. just reply me on my email address. 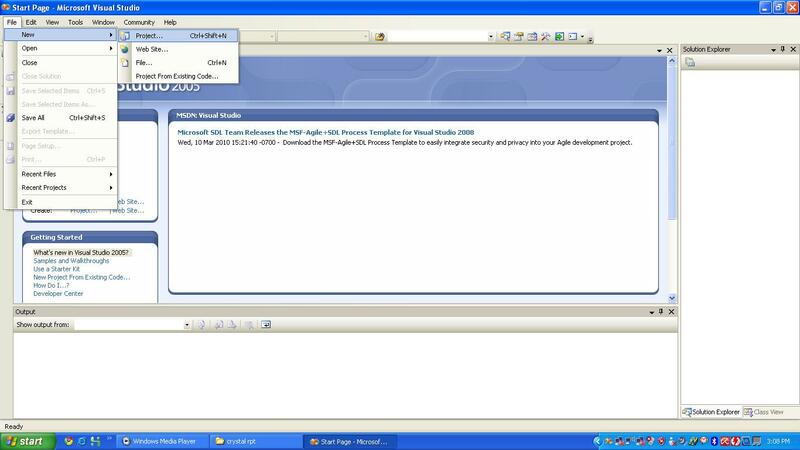 My front end is vb.net 2008 with C# and back end is SQL server 2005. //customer is the table name in database. can u help me? i have a small project about local area networking. my problem is i want to have a server compile on c# with a 5 button that once clicked it will minimized or maximize other c# windowsform located to the other 5 computer..each button on the server side form is dedicated to anyone of the five remote pc..if you can send me a sample source code in a windows base form c# its better. I really like your step creating blog it is good way to share explore your knowledge and ideas. sir i really liked your work thanks for sharing of your knowledge keep cont…..